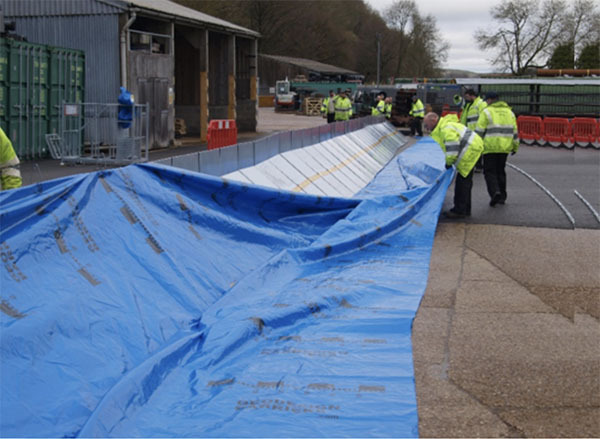 Sign up to the Transform Leatherhead e-update to hear the latest news. 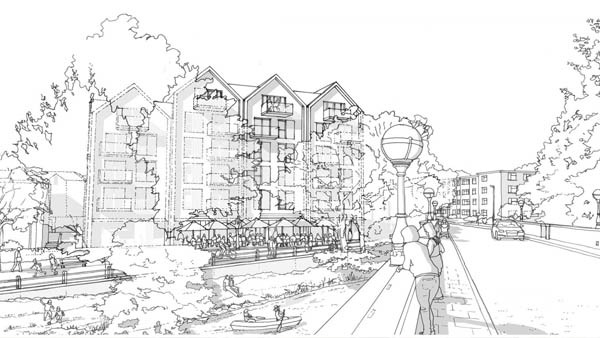 In partnership with Surrey County Council, Coast2Capital, The Environment Agency and a number of other partners Leatherhead is being transformed into a modern market town where people of all ages can shop, eat, relax and have fun by the riverside. 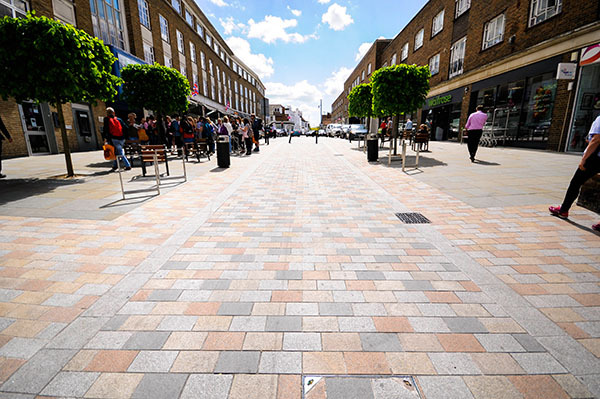 The £1 million scheme to make significant improvements to the public realm in Church Street was completed in November 2017. 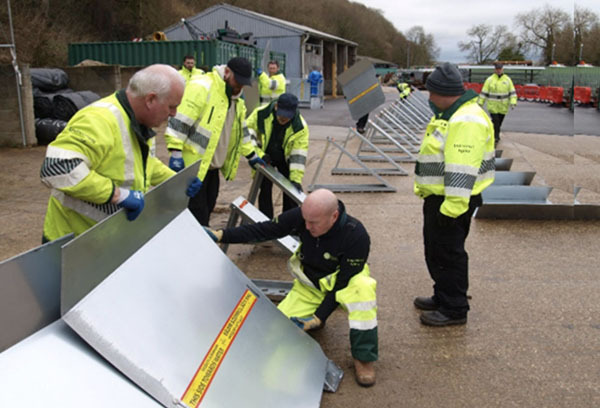 The scheme was delivered by a partnership between MVDC, Surrey County Council (SCC) and Coast to Capital Local Enterprise Partnership (C2C LEP). One of the objectives of the scheme is to provide a better environment for all the businesses in Church Street, including the newly arrived Waitrose store and the long established Leatherhead Theatre. 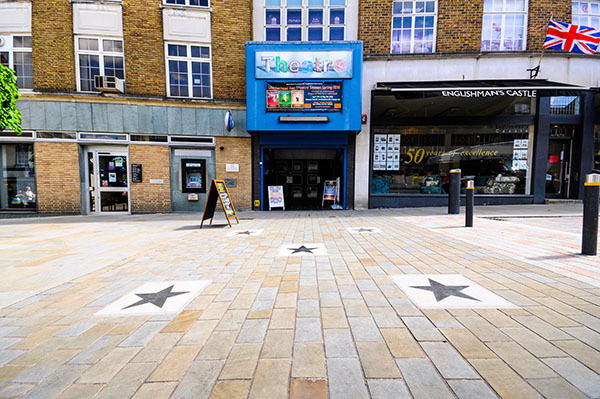 To celebrate the history of the Theatre, the Leatherhead Residents’ Association and the Fire and Iron Gallery enabled five commemorative stones to be laid recognising some of the most lauded performers from the Theatre’s history, including Sir Michael Caine and Richard Briers. Since completion, Church Street has hosted Halloween, Christmas and Easter celebrations. 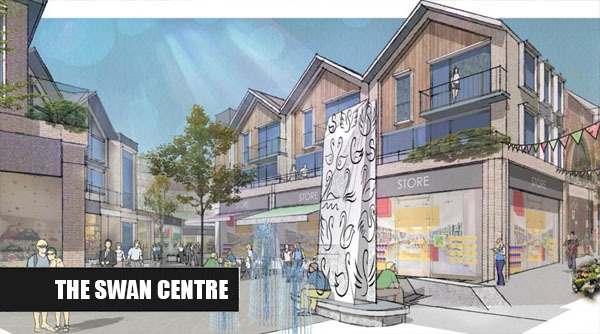 The Swan Centre will provide an attractive and sustainable mixed-use environment with shopping and leisure to meet the needs of the community and attract more visitors to the town. 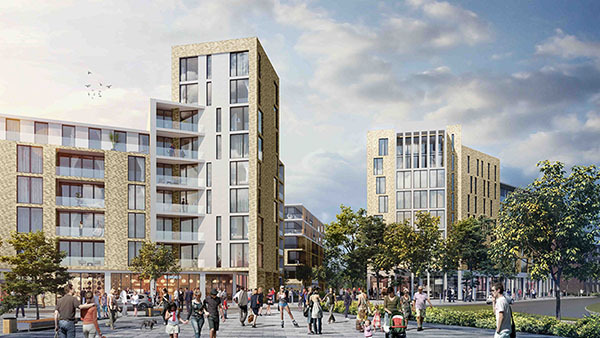 Cushman & Wakefield appointed in April 2018 to undertake occupier study and viability assessment for redevelopment: completion Spring 2019. 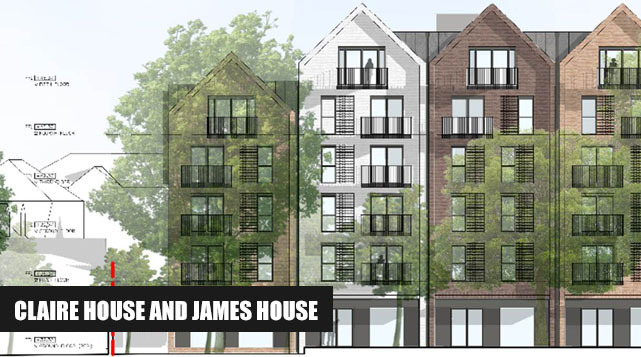 Claire House & James House will be a landmark mixed use building potentially including a restaurant / cafe on the ground floor and apartments. 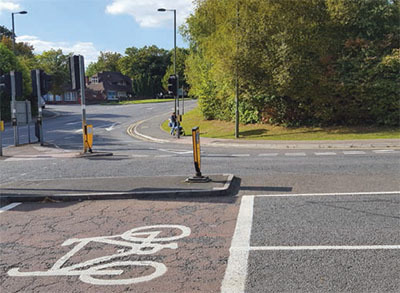 Alternative options for sustainable transport improvements are currently being investigated in line with the Transport Study traffic modelling (see below) and the development opportunities within Leatherhead Town Centre as part of Transform Leatherhead. These options will require various funding mechanisms which will form part of any business case. We are moving forward with our Leatherhead transport study - a key stage towards informing options for the town centre gyratory system, High Street and decisions on the public realm. 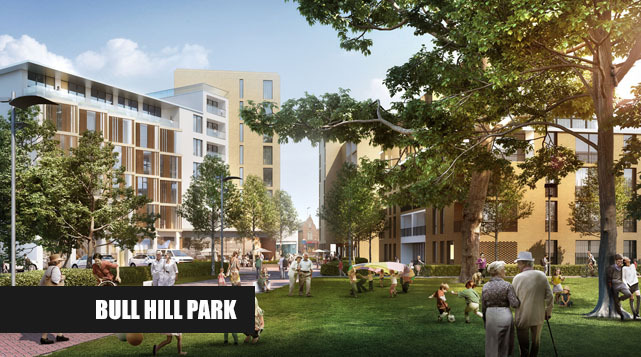 The land within the existing one-way system know as Red House Gardens or Bull Hill will be developed to create a new mix-use development to complement the Retail and Leisure Quarter. 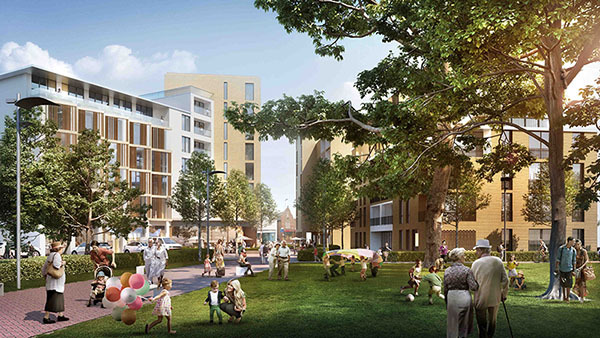 Once the Transport Study has been completed and the Swan Centre Redevelopment opportunities identified, the opportunities for the development of this strategic site will be considered further. This will be a mixed-use development that looks to include all the remaining uses identified in the Masterplan. 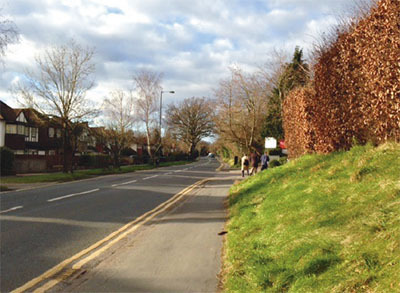 Keep up to date with Transform Leatherhead news and events by singing up to our e-update. "Excellent proposals, particular freeing up space for the North Street plaza and discouraging traffic through the Station Road, North Steet and Bridge Street loop." "Please go for the best options available, even if the costs are higher." 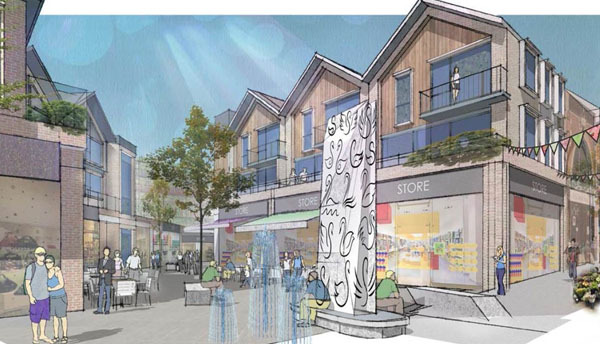 "As a Leatherhead Resident I am really excited by the proposals that are being put forward to transform the town. I hope that any new developments will fully incorporate and embrace the historical market town aspect of Leatherhead and emphasise some of the beautiful existing buildings."